Although the radon data used in production of the radon maps on the Health and Safety Executive website comes from radon measurements in domestic dwellings, the maps do give a good indication of the likely extent of the local radon levels in all buildings within any given area. The information provided on the radon maps is therefore just as relevant to employers in assessing the risk of radon in the workplace. 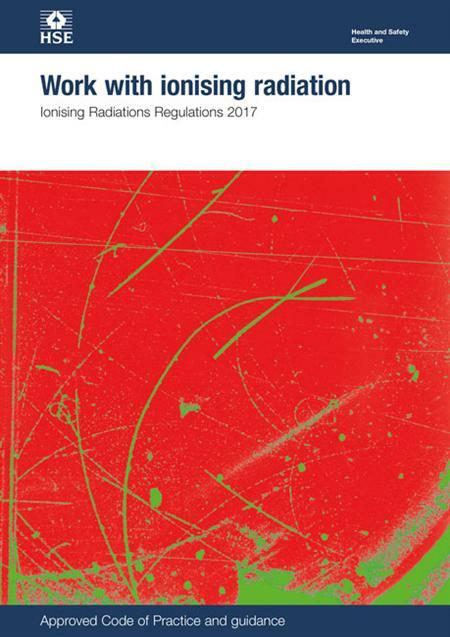 The Ionising Radiations Regulations 2017 (IRR17) is focused on the protection against exposure to ionising radiation as a result of work based activities. The enforcement of IRR17 is the responsibility of the Health & Safety Executive (HSE) as part of the Health & Safety at Work Act 1974. The HSE also delegate the enforcement to Local Authority Environmental Health departments in various sectors. How do I test my workplace for radon? 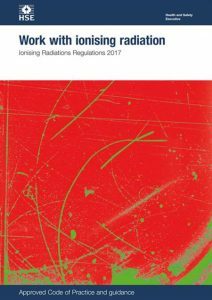 Ionising Radiations Regulations 2017 or to give it its short name – HSE IRR17. IRR17 was introduced by the Health and Safety Executive in 2017 to replace the existing IRR99 regulations surrounding radon. There is now a legal obligation to test premises (all factories/offices) if there are suspicions that high levels of radon are present. Ignorance is no excuse, and a simple initial test can be carried out using the Public Health England Radon map to check to see if a property sits in an area where there is a high chance of radon gas. The map though only gives an indication of radon levels in an area. Checking on the radon map does not though replace carrying out physical radon testing to determine levels of radon using passive detectors. Work places vary greatly in both size and nature and our experience shows that high levels of radon gas can occur in virtually any type of workplace. The levels of radon in a building are dependent on several factors including: location, the type of structure and how the structure is used. In workplaces such as offices which are normally classed as low hazard areas, radon can prove to be be one of the largest occupational health risks. Don’t forget employees who also live nearby may also be exposed to a high levels of radon at home too. As a result, a wider awareness of radon can also be of benefit to your staff. In the vast majority of cases involving above ground workplaces the risk assessment should include radon measurements taken from appropriate ground floor rooms where the building is located in a radon Affected Area as identified by the radon map. It is good practice for employers to take a conservative approach and undertake measurements in all premises located within a 1-km grid square of a shaded area on the radon map. However, due to radon been omnipresent good practice is to test for radon regardless of location. If you have any employees working in any occupied below-ground work space for 1 hour per week or more, for example a basement, then it must be assumed that radon could be present irrespective of where you may be situated within the UK and the information provided by the Public Health England Radon Map.For that reason any risk assessment should include measurements for radon.This legislation applies to all below ground workplaces in the UK not just to basements and cellars. So workplaces such as mines, caves, tunnels irrespective of the above ground Affected Areas status need to be tested for the presence of radon gas. So, the advice is clear. If the workplace has a basement where people spend over 1 hour a week you should test for radon wherever you are in the UK. If the workplace is above ground and within a designated ‘affected area’ it should also be tested for radon. All employers with annual average radon levels in excess of 300 Bq/m3 in their premises must Notify the Health & Safety Executive and plan to limit their employees’ exposure to the hazard. The HSE IRR17 regulations stipulate that if after testing (using a Public Health England verified laboratory) the Radon levels are above an annual average of 300 Becquerels per metre of air cubed (300 Bq m¯³) then you have a legal duty to do something about it. If radon levels are known to be above safe levels in certain areas, then you must also post warning notices making all employees/visitors aware. Due to radon gas being a naturally occurring phenomenon through the natural breakdown of radium contained within the earths rocks, one must not make assumptions. Two buildings side by side may have entirely different radon levels, therefore all premises must be tested on any site where radon is suspected. Initial testing is carried out by using passive radon detectors (normally left in situ for a 3 month period), followed by analysis carried out by a Public Health England approved laboratory. As a specialist radon testing and mitigation company, PropertECO can advise and guide you on the placing of the detectors and can provide a service to place and collect them for you. Normally radon mitigation works will require an external sump drilled under the slab, and a specialist radon fan and equipment installed to extract and vent radon safely above the building into the atmosphere. It may also be necessary, depending on the radon levels, to increase the internal room air pressure to deter the radon from rising. This is done by the installation of a specialist positive pressure air ventilation system. This will help prevent radon gas from rising predominantly through the floor slab. Following the radon mitigation works, we will supply a new set of 3 month passive radon detectors in order that the new annual average can be checked. Also available are digital constant readout units that give a real time visual level of radon levels in the room. Often in commercial locations these can prove to be a great comfort to staff concerned about radon in their workplace. It should however be noted that the elimination of radon cannot be guaranteed, and once detected and mitigated against, it should be monitored/checked regularly either by the use of a digital measuring device or annual passive detector checks. Don’t forget: Radon induced lung cancers are responsible for over 1000 deaths per year in the UK, and radon is the largest cause of lung cancer in non smokers, so it must be taken seriously.